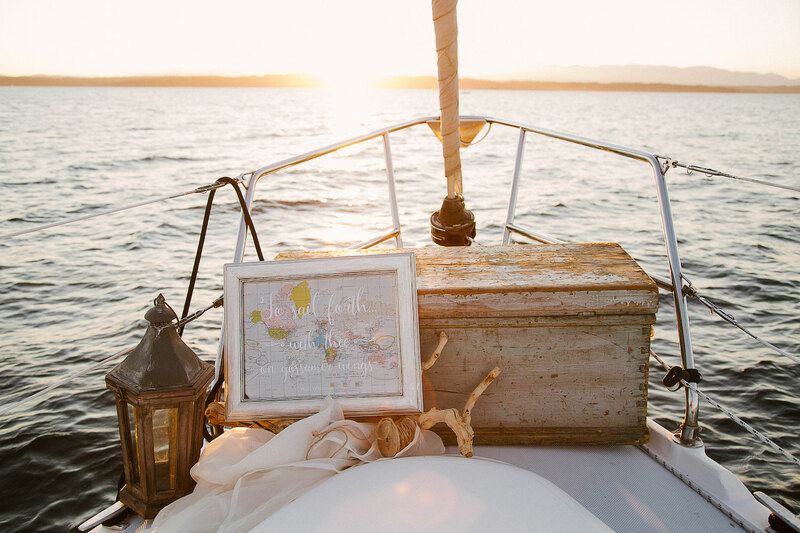 For a picturesque elopement or portrait session, consider a romantic sail. 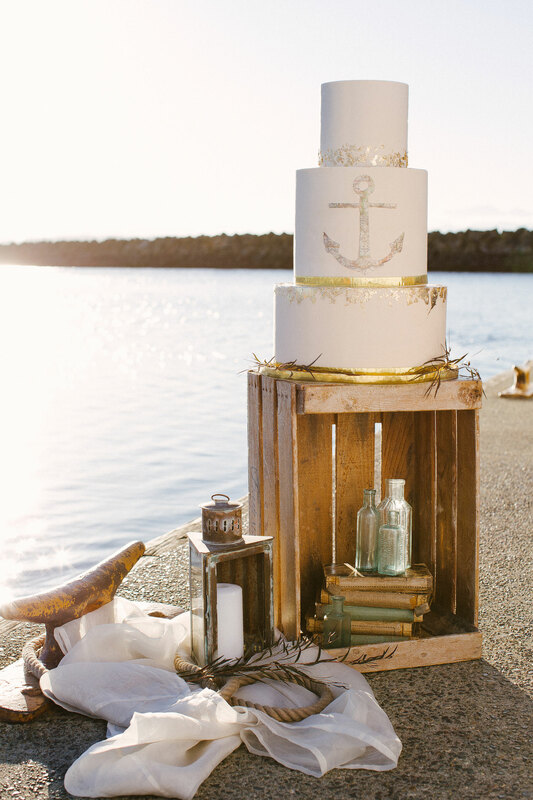 Brides and grooms desiring nautical nuptials will find inspiration in this styled shoot, which takes place at sea on a sailboat. 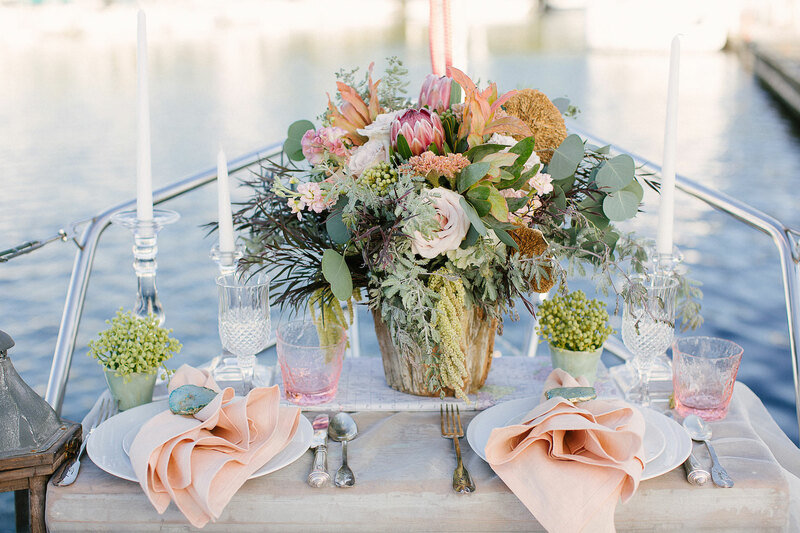 "The inspiration behind this elegant sailboat shoot came from a couple of lines in a Walt Whitman poem, 'To sail forth... with thee... on gossamer wings,'" shares Nichole Monjay of Florarama Modern Design. 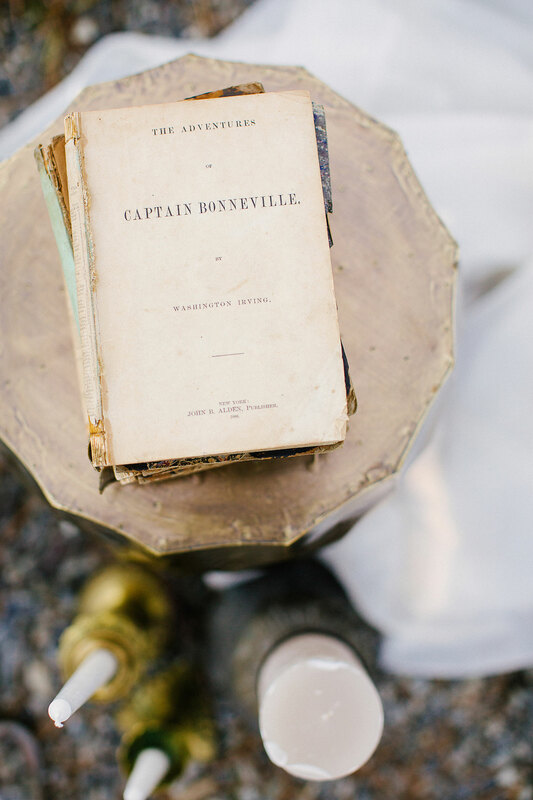 "We took the vision and ran with it." 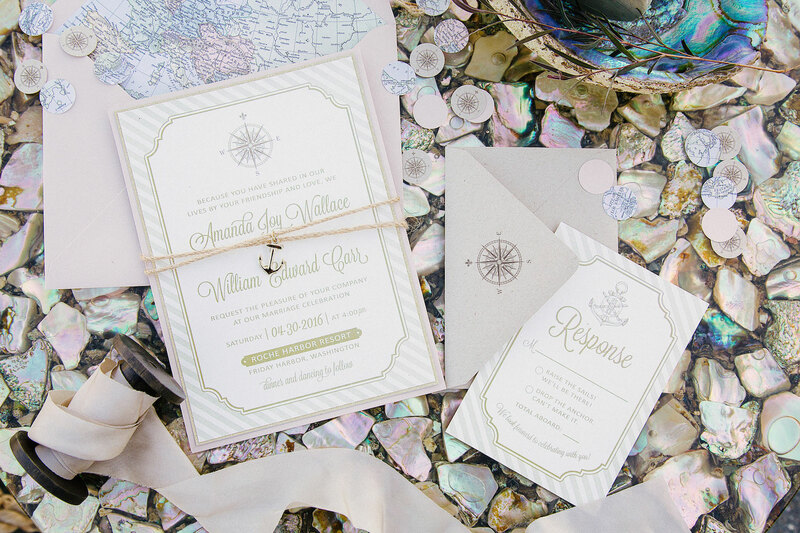 Introducing the event, an invitation suite in soft pink and seafoam hues features anchor and compass motifs. 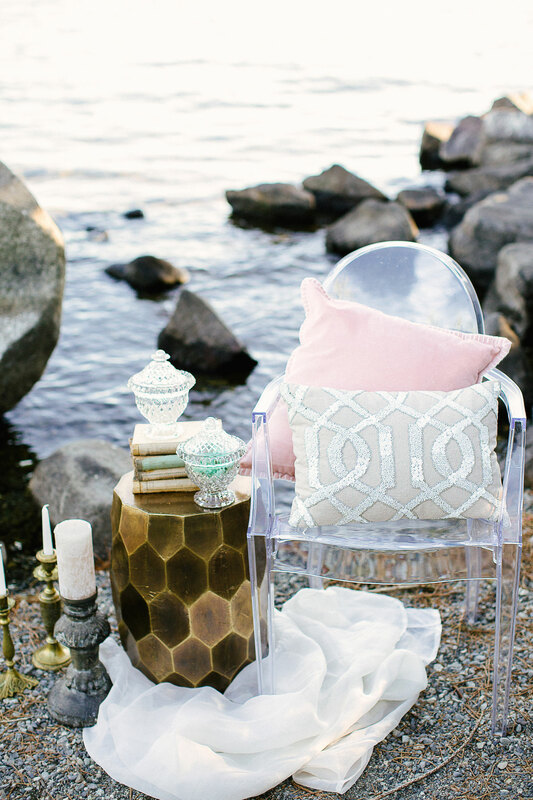 Maps and antique details add a unique element to the décor, as well as breezy sheer silk, rosy velvet, and romantic lace in autumnal pink shades. 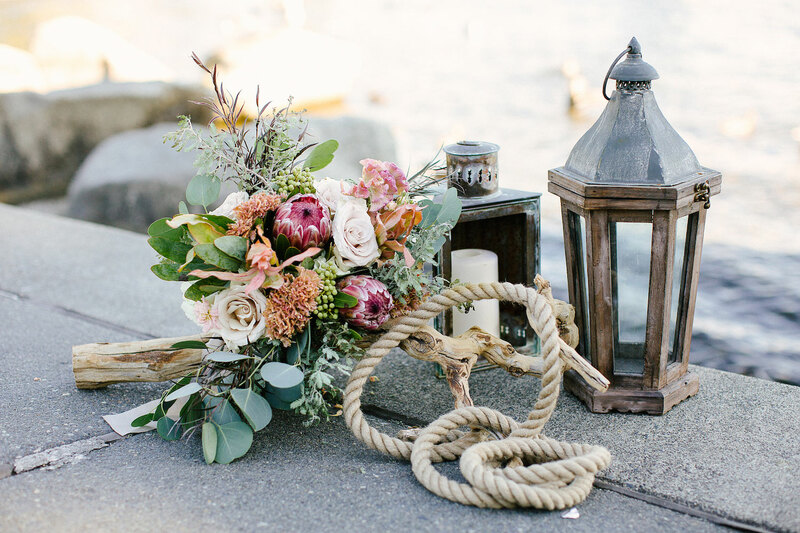 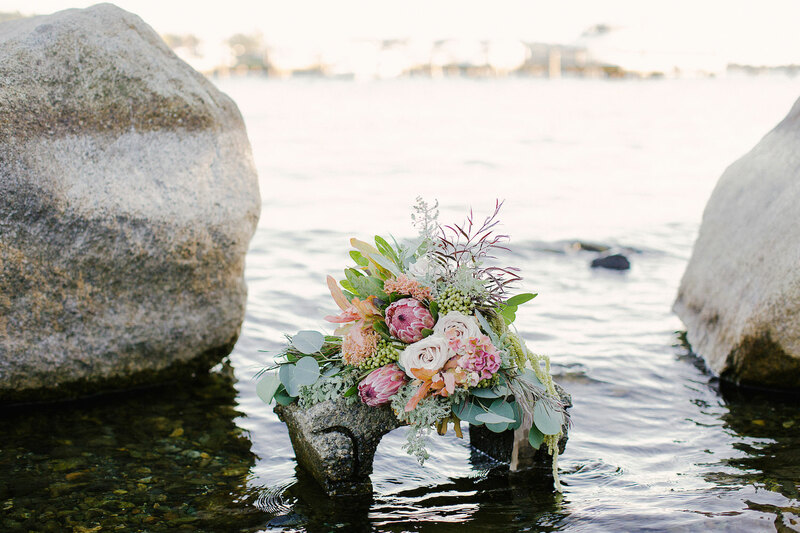 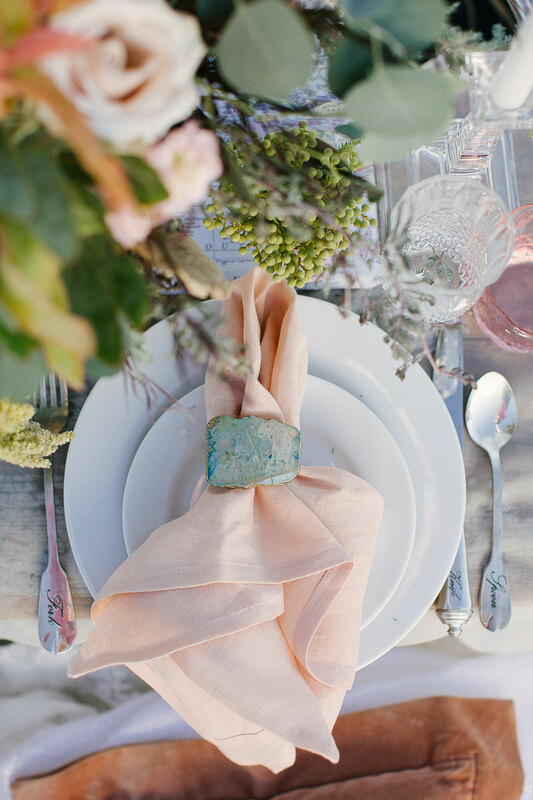 An organically gathered bouquet and a rustic-inspired centerpiece feature beige Quicksand roses, pink proteas and celosia, silver dollar eucalyptus, acacia, and agonis foliage to create a "just-washed ashore look," explains Nichole. 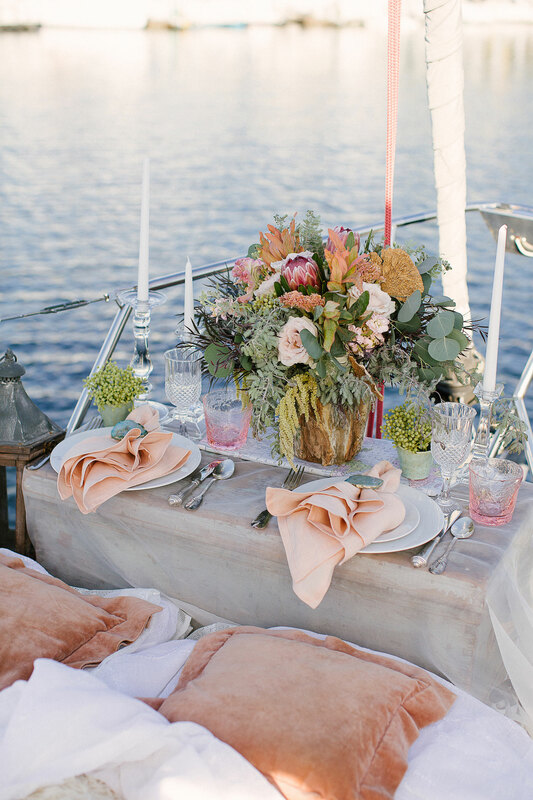 The styled bride wears two looks: a long-sleeve allover sheer gown with lace appliqués and a vintage-inspired long-sleeve gown with mutton sleeves and illusion details. 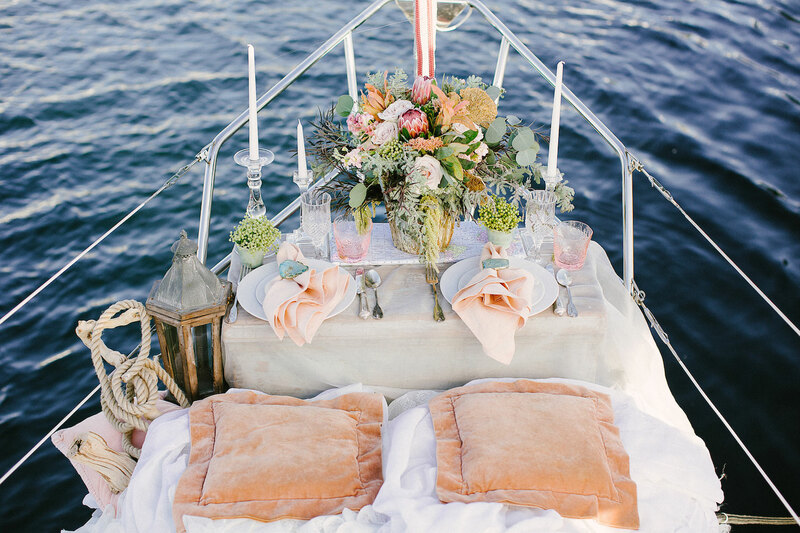 Nichole shares that the styling is "a perfect, romantic setting for an eloping couple who want to sail off together on gossamer wings!" 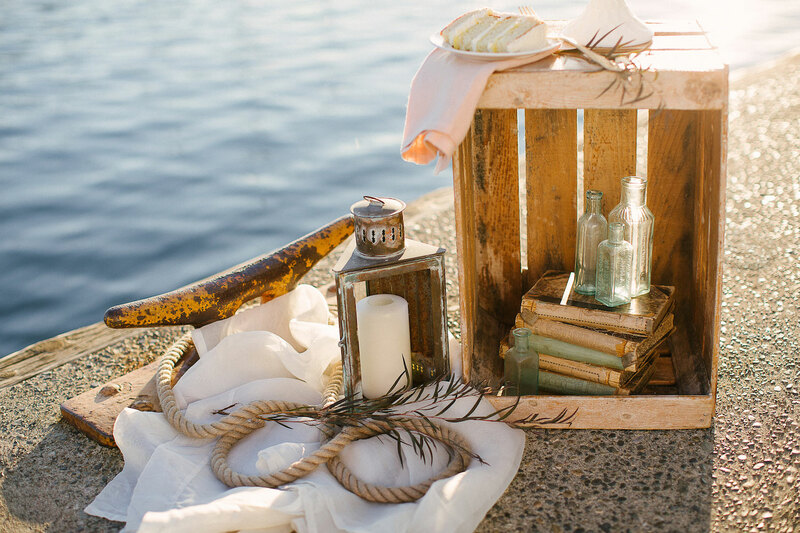 Take inspiration from the shoot for a blissful engagement session, a post-ceremony sail for just the two of you before the reception, or a beautifully styled elopement!